We all know that after a certain age, things start to go down hill when it comes to our health and fitness. After a certain age (30? 40? 50?) things catch up with us. Maybe we look in the mirror one day, and we see that our muscle tone isn’t what it once was. Or we’re achy in the morning and getting out of bed is painful. Or we’re gaining weight ~ and losing it again isn’t as easy as it used to be. We’re losing our memory. And some of us say ‘Oh well’ and figure this is the inevitable part of aging. While others say ‘time to get to work’ and they make the time, find the support, and make a change. Change their trajectory. To a pretty large degree (some would say up to 75%) how we age is up to us. Up to a collection of small choices we make to ensure our overall health. Exercising, eating well, and resting properly. It’s a lot like saving for retirement. Monthly savings turn into a big pay day. It’s up to YOU! If you need support and don’t know where to start, I’d love to help you. What can you do next? CLICK HERE and we’ll find a time to talk. Does your normal meter need to be reset? Do you think that NOT exercising most days of the week is ‘normal’? Do you think that eating processed foods most days of the week is ‘ok’? Are you gaining two or more pounds a year ~ the weight is slowly creeping on (that would be 20lbs over 10 years! 40 lbs over 20 years!). Are you taking medications to control your blood pressure, cholesterol, or type 2 diabetes, but not taking actions to get OFF these meds? If you answered YES to any of those questions your normal meter needs to be reset. Find people who exercise consistently, eat healthier than you, and hang out with them. We are the average of the 5 people we spend the most time with. If nobody around you takes daily healthy action, you’re less likely to. Ask for support. You might need someone to watch the kids so you can exercise. You might need help with cooking healthy foods, or get fresh foods delivered to prevent excessive pizza nights. You CAN reset your normal meter, get fit, and lose weight, and get off your meds. Everything is reversible! >>CLICK HERE if you’d like to learn more about working with me, in my awesome private studio in Stow Center. P.S. Living with type 2 diabetes? Are you pre-diabetic? I’m working intensely with people who are determined to turn their type 2 diabetes around. CLICK HERE to learn more and apply. I’m sure you’ve heard the saying ‘Summer bodies are built in the winter’. ‘Your summer FITNESS is built in the winter’. I’d hate to see you let this time of year go by without working on your health and fitness. Getting fit NOW will set the stage for a healthy and active summer! Scroll below to see some options to work with me through this winter and spring. 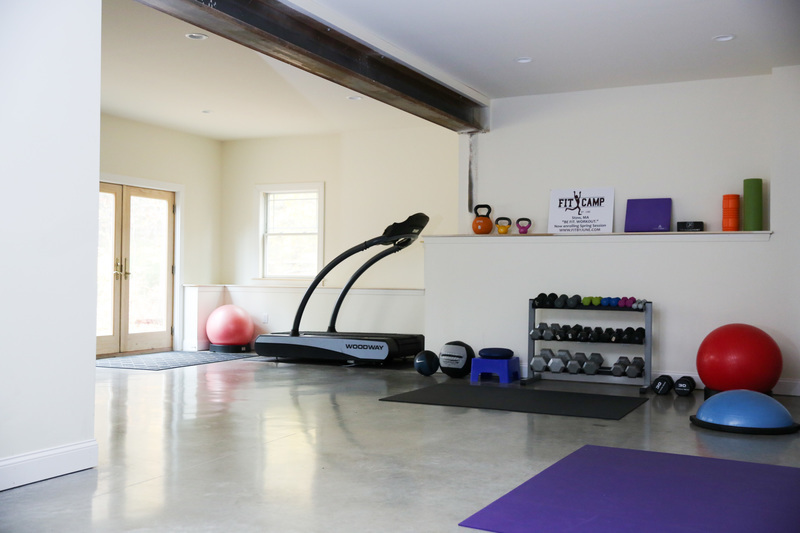 Join me in my super private, bright, clean studio in Stow Center where I’ll teach you the ins and outs of exercise, fitness, and better nutrition. It doesn’t have to be complicated, you just have to be committed. I specialize in helping people who REALLY need it. People who are worried about type 2 diabetes, or have already been diagnosed. People who are clinically obese, and don’t know what to do. CLICK HERE After applying, we’ll find a time to talk and see if you’re REALLY ready for change. If physical limitations weren’t an issue, what would you be excited to do? Do you worry when you’re out and about that you won’t be able to keep up, or are you always looking for a spot to sit down? Do you NOT accept invitations to do things or go places because you’re worried you won’t be able to keep up, or that you’ll hurt yourself, or be embarrassed? Here is the thing ~ the energy it takes WORRYING about all those things is MORE exhausting than the effort it takes to to turn it around. When a client tells me they did something they NEVER would’ve even TRIED to do before we started working together? THAT is the best part of doing what I do. I’ve been working with a woman for 6 months who REALLY wanted to be in shape to ski with her grandkids. So, she showed up 2x each week. She dedicated the time and energy. EACH workout I reminded her of what her goal was. To be ready for this ski trip. To ski with her grandkids! And she DID IT! No worries about slipping, no worries about hurting her knees. She got to make these AWESOME memories with her grandkids. She wasn’t sitting, watching from the ski lodge with a cup of tea. She was out there with them. And they’ll remember that. How amazing and INSPIRING is that? It didn’t happen by accident. She TRAINED for it. We worked on her leg strength, her balance, her confidence. If you want to be a grandma/grandpa who gets out there ~ let’s GO! >>CLICK HERE if you’re ready to learn more. And sugar is REALLY tough to quit. Like, REALLY hard. It is a legit addiction. Not to mention, it is in EVERYTHING. And did you know that processed carbs (bread, pasta, cereal, crackers, etc) has the same impact on our bodies as sugar does? It’s a DOOZIE! And the more processed carbs you eat, the more you crave. It’s an endless cycle ~ a loop that is REALLY hard to get off. The pull is REAL. I get it. 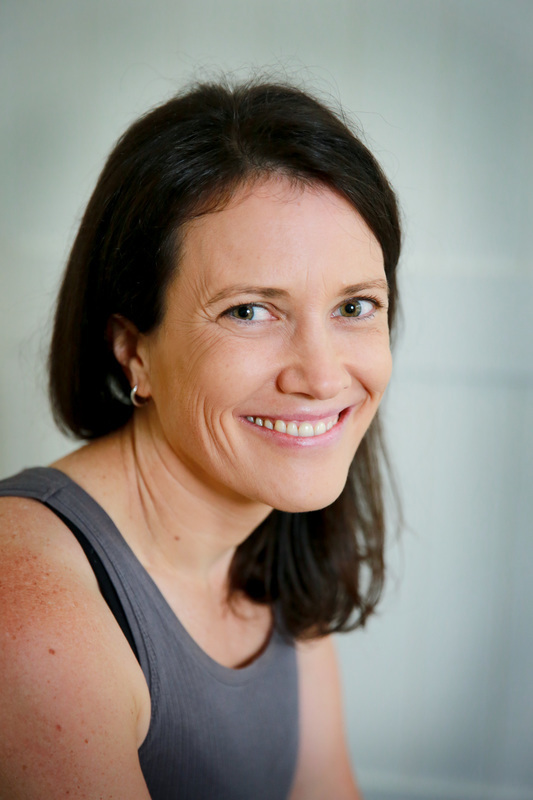 I’m helping my new clients take control of their health. Here is the thing : all of this is reversible. All of this is changeable! You can get your health back. You may just need a little support. >>CLICK HERE if you KNOW you NEED to make a change and would like to learn more about working together. Are pre diabetic (insulin resistant). Are concerned about excessive belly fat and its health implications. >> CLICK HERE and take this quick quiz. Once you take the quiz I’ll reach out with more info. If you’re like most Americans, at some point in your life you’ve been told that to lose weight you need to ‘move more, eat less”. Working in fitness and health for 17 years, I’ve seen SO MANY people try to lose weight by moving more and eating less. MOST people who have struggled with their weight have tried this. And they usually try it multiple times ~ and at some point feel like a failure because the weight comes back on. 1. ADD fats. If you choose to go low(er) carb, and are dropping processed, simple carbohydrates from your diet, add in FAT. Coconut oil, nut butters, avocado and (dare I say?) grass fed butter and meats all have super healthy fats which will keep you satisfied, keep your insulin levels from spiking, and craving MORE processed refined carbs. 2. Add High Intensity Exercise (Strength Training) into your Routine. Once you’ve created a strong fitness base (exercising most days of the week for 4-8 weeks) add in some High Intensity Anaerobic Workouts. 3. Create Boundaries. Eat within a smaller time frame. Intermittent Fasting is a great tool you can use to create boundaries around your food habits. Start with a 10 hour window (breakfast at 9am, dinner done by 7pm) and see you you feel. Take on either just one, or all three of these habits and let me know how you do! P.S. Are you living with Metabolic Syndrome? Pre diabetes? Type 2 diabetes? With the right nutritional, exercise, and lifestyle changes you CAN reverse it all! I would love to help you in 2018! CLICK HERE to learn more! Very early in my Personal Training career, I had a client who was living with Type II Diabetes. He was in his 60s, super nice, but he was struggling with complications that come with Type II Diabetes. He wasn’t enjoying his Golden Years. He shuffled because he couldn’t see well and couldn’t feel his feet. He wore velcro sneakers because he had lost feeling in his hands and couldn’t tie shoe laces. He had already had a heart attack. And he wasn’t really old! He just seemed old because he had such poor health. One time he came to me with a ‘funny story’. He had put his sneakers on one morning. When he went to take them off hours later his wife noticed he had blood all over his socks. When they looked closer, taking off his socks, they noticed something REALLY scary. He had left a WHOLE SET of keys in his shoes. He had spent hours walking around with a set of car keys in his shoes, cutting up his feet to the point where he was bleeding. And he had no idea because his diabetes caused poor circulation and numb feet. People living with Type II Diabetes often suffer from diabetic neuropathy ~ causing loss of circulation and feeling to the feet. Increasing risk of infection and limb amputation. And all this begins with Metabolic Syndrome (aka Syndrome X). Metabolic Syndrome can be a precursor to Type II Diabetes. Both Metabolic Syndrome AND Type II Diabetes are REVERSIBLE. With proper education, focus, and determination Metabolic Syndrome and Type II Diabetes are REVERSIBLE. >>CLICK HERE to take the Quiz! I’ll get back to you with your results. My clients are always worried about skipping meals. They are worried that skipping meals will screw up their metabolism, make them hangry, and make them overeat at meal times. But the REALITY is that skipping meals can benefit your fitness, health, and weight loss goals. And it doesn’t ‘screw up your metabolism’ when done the right way. I wasn’t really hungry in the mornings. Eating first thing was more of a habit. Eating breakfast just made me hungry ~ kicking off cravings & grazing the rest of the day. I felt better mentally when I skipped breakfast. I felt more focused and motivated. My yoga workouts felt AWESOME on an empty stomach. And these weren’t sleepy yoga classes ~ they were athletic hot yoga classes. I was getting leaner in my midsection. And later on I learned that this is actually a THING. Skipping a meal (or shortening your feeding time during the day) is called Intermittent Fasting. And science shows that it is REALLY good for us. And, for people with type 2 diabetes, various forms of fasting or skipping meals is shown to have an awesome impact on lowering blood sugar levels! So, if you skip breakfast, it really isn’t a big deal AT ALL ~ and it could even be a super healthy option for you. >>CLICK HERE to schedule a time to talk.